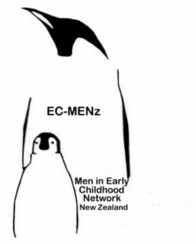 EC-Menz is the New Zealand based national network for men in early childhood education (ECE). Membership is open to both men and women who share our goals. Men fully participating at all levels of Early Childhood Education to represent the diversity of our society in Aotearoa. Supporting men to participate in Early Childhood Education. To promote ECE as a great career for men. To network with other men involved in ECE. To support men working and training in the ECE sector. To lobby for initiatives to increase the numbers of men teaching in ECE. All around Aotearoa men are making a huge difference in the lives of young children. EC-MENz is New Zealand’s only national organisation dedicated solely to supporting the many roles of men in early childhood education. Providing different perspectives, teaching styles, and life experiences to enrich the learning environment. Become a member of EC-Menz today and start enjoying the support of like minded early childhood educators. Please contact us if you require further information or apply for membership by filling in the membership form. All around Aotearoa men are making huge differences in the lives of very young children. ECMenz is New Zealand’s only national organisation dedicated solely to supporting the many roles of men in early childhood education.